Arnot Manderson Advocates are delighted to announce the appointment by Crown Office of three of its members, Patricia Comiskey, Nicola Gilchrist and Laura Thomson, as Ad Hoc Advocate Deputes. Ad Hoc Advocate Deputes are instructed by the Crown to Prosecute cases in the High Court and to represent Her Majesty’s Advocate in Appeal cases and other matters. These three counsel join a long list of Arnot Manderson seniors and juniors who have held an Ad Hoc Commission. All three will continue with their busy civil and criminal practices and remain available for instruction in each of the Practice Areas they work in. Patricia Comiskey is experienced in a range of areas of Civil work. 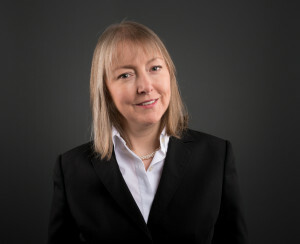 She has developed an extensive practice in personal injury and clinical negligence cases, including claims of the utmost severity and complexity. She has experience in advising on and litigating in contract, insolvency, property and insurance disputes. In Criminal law, Patricia already has experience prosecuting proceeds of crime confiscation proceedings and defending VAT fraud prosecutions. Nicola Gilchrist specialises in family and child law, and is regularly involved in cases in the Court of Session and Sheriff Courts. She has experience across the board in litigation concerning divorce, financial provision, cohabitation and civil partnerships. 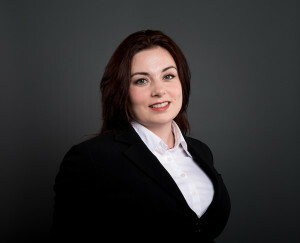 Nicola is also experienced in employment disputes and in matters of trusts and succession. In her year as a litigation solicitor with HM Revenue & Customs, Nicola specialised in employment tribunals and reparation actions. She spent a further three years as a solicitor in private practice, where she first developed her interest in family and child law. She has been instructed as junior counsel in a number of criminal trials and has appeared in a number of high profile cases in the High Court of Justiciary and the Criminal Appeal Court. Laura Thomson has extensive experience of preparing and presenting cases which are both factually and legally complex, and in which expert evidence has been led. 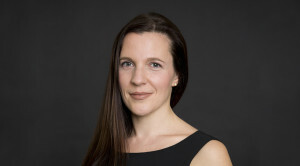 She has a particular strength in working with, and taking evidence from, children and vulnerable adults, and a keen interest in cases which involve alleged contraventions of human rights. Building on her experience and interests, Laura has developed an enviable civil practice in the fields of family and child law (in particular, cases brought under the Hague Convention), professional negligence and personal injury work, alongside her interests in public law and human rights. Alongside her civil practice, Laura maintains her interest in Fatal Accident Inquiries, and in Criminal Trials and Appeals. Before being called to the Bar, Laura was a full time Advocate Depute holding a number of specialised posts within Crown Office, including the investigation of sudden, suspicious and unexpected deaths and the conduct of FAI’s. For further information on any of these counsel please call Arnot Manderson Advocates on 0131 260 5824.